We believe in having it all. That’s why we designed West22 to have everything you want, right on-site. We call it resort-style living. Hit the spin studio, schedule a playdate at the toddler room, or host a barbecue in the sunshine. 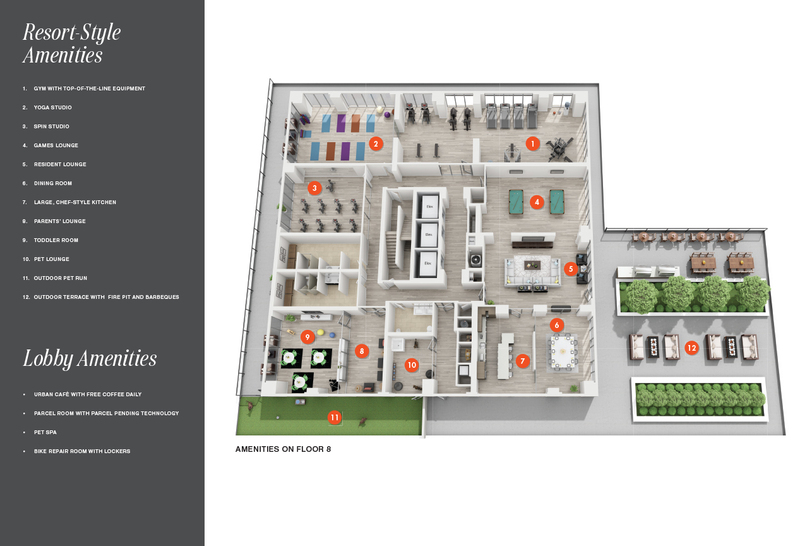 These and many more amenities are what make the West22 lifestyle so singular. Featuring brand new studio, 1 and 2 bedroom rental suites connected to everything – minutes away from Highway 401 and the UP Express at Weston Station – welcome to a lifestyle without compromise. Designed with a warm, neutral palette, each suite at West22 feels airy and welcoming. Featuring modern finishes like quartz countertops, stainless steel appliances and custom window coverings, these spacious thoughtful floorplans allow you to make the space your own.